British documentary photographer Chris Shaw’s images of the swanky hotels and seedy motels of London, Paris and New York have gone on show at the Multimedia Art Museum Moscow, marking ten years since the exhibition went on tour. The collection of photographs that make up Life as a Night Porter serve as a diary of Shaw’s ten-year stint as a porter in hotels in the three capitals. Taking photos to stop himself from falling asleep while on duty, Shaw said: “I was saved by photography; it has since become my vocation.” Life as a Night Porter's protagonists include radiators, sleepwalkers and drunken guests, and the blurry visuals and handwritten captions that provide a constant reminder of Shaw’s presence behind the lens. 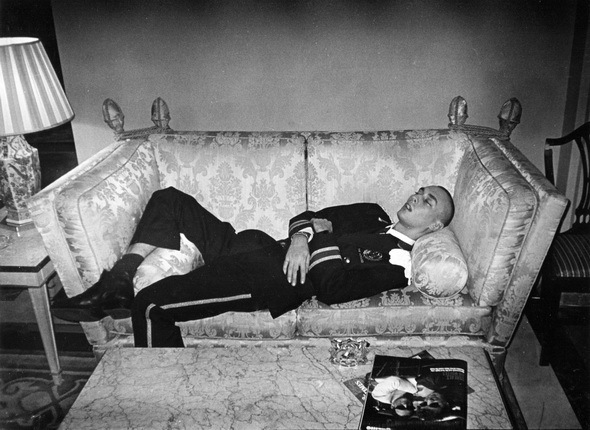 In 2012, Life as a Night Porter was exhibited in the Ural city of Perm’s photography festival. A second of Shaw’s photographic projects, Weeds of Wallasey, will also be on display at the museum. This part of the exhibition marks a return to Shaw’s birthplace in the English north-western town of Wallasey, with images described by the photographer as depicting “the battle between nature and a post industrial blight”. Seeking to capture a natural world which he sees as being lost, Shaw said: “These photographs belong to the ‘before’, and if the after is all brand new mirrored high-rise glass and chrome, there will always be weeds.” The two projects will be on display in Moscow until 8 June.